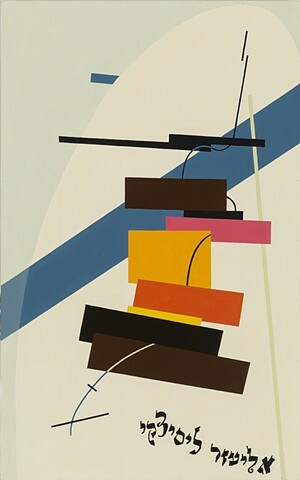 The project Lissitzky focuses on the 1916-1922 works of the key figure of 20th century modernism El Lissitzky (1890-1941). The project is a reflection on the issues of internationalism vs. identity within the Russian Avant-garde project. 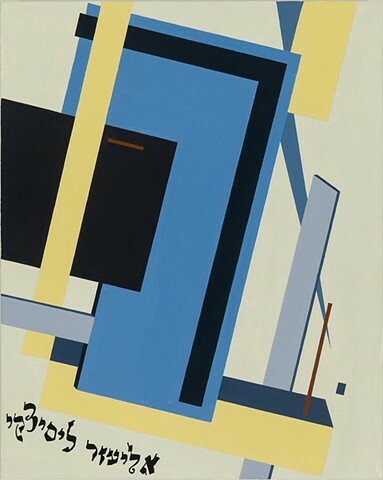 It interrogates the notion of hyphenated identity, in particular "Russian-Jewish," and presents the "Russian Avant-garde" as situated at a point of tension between universality and ethnic particularity. 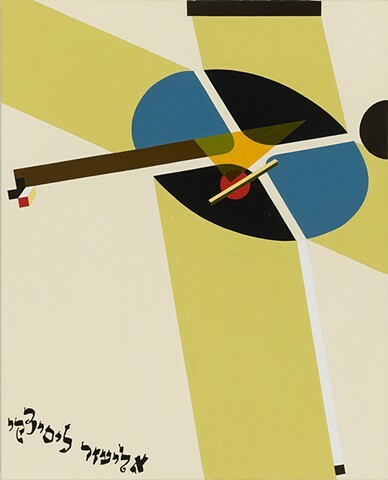 The project is devoted to El Lissitzky's art production between years 1916-1922, which included his “Jewish” works, on which he signed in Yiddish as well as his Constructivist Prouns--which are usually left unsigned. 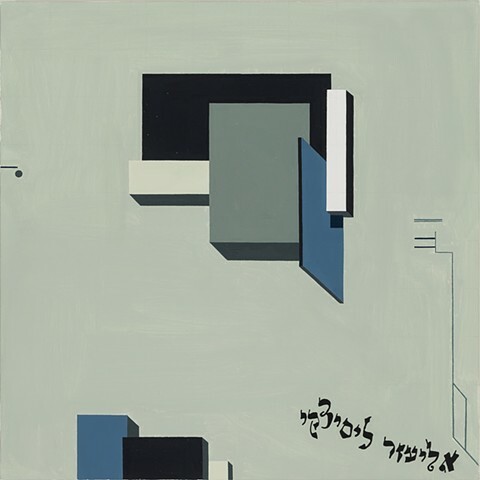 In this series of paintings, Fiks recreates Lissitzky’s Constuctivist Prouns from 1916-1922 and signs them with Lissitzky’s Yiddish signature that Lissitzky used to sign his Jewish-themed works of the same period. 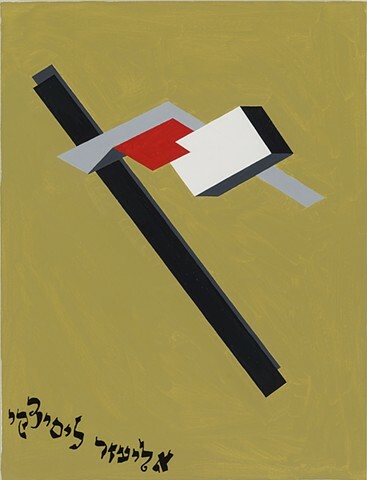 In the official historiography of Russian Avant-garde, a break is described between Lissitzky's “Jewish” works and his Russian Avant-garde works: Lissitzky’s career is usually presented as a linear chronology where in around 1922 he stops making his “immature Jewish” works and become a mature universal Russian Avant-garde artist. However, a careful research shows that during 1916-1922 Lissitzky’s "Jewish" and internationalist Constructivist work occurred in parallel. 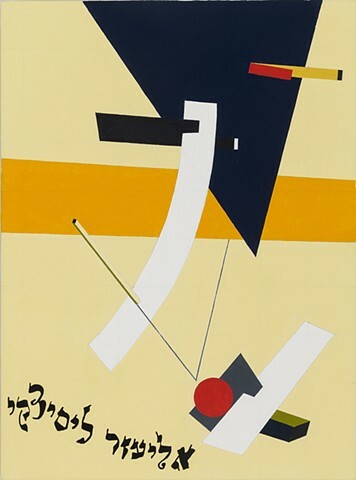 The project revisits the years 1916-1922 of the revolutionary cultural modernist project in the late Russian Empire and then Revolutionary Russia to reveal how the Jewish secular cultural awakening coincided, overlapped, and interconnected with the development of the Russian Avant-garde project. The project "Lissitzky" posits the Russian Avant-garde as a multifaceted liberatory project, where internationalism and difference at least temporarily coexisted, even if in a state of tension. This project problematizes the issue of universality and (inter)national belonging of the 20th century modernism.